Planning your dream vacation can be a very time consuming endeavor, but fortunately it’s never been easier. These are the best travel websites to help you plan the perfect trip while saving you time and money. 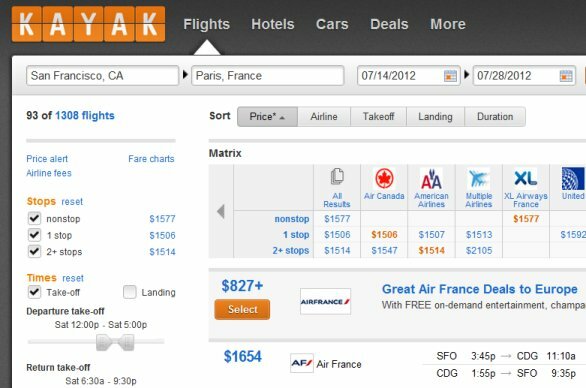 Kayak is one of the best travel websites available to quickly find your airline tickets, hotels and rental cars. The great thing about Kayak is that it allows you to search hundreds of travel websites at once within a simple easy to use interface. This can save you tons of time, for example, you can locate the best flight at the right price on all of the different airlines at once, without needing to search directly on the individual airline websites. One of the unique things about Kayak is that you don’t have to book your travel through them. You always have the option of booking directly through the provider, which is usually a better choice since it allows you to deal directly with the airline or hotel if you need to make changes to your reservation later. Tripadvisor gives you access to reviews for almost all hotels in the world as seen through actual customers. Recognized as on of the best travel sites on the Web, it has changed the way people find out about the true quality of a hotel or travel related service by allowing actual customers to post reviews and even pictures of the establishments being reviewed. It’s amazing how many times you’ll book a trip to a four star hotel only to find that the beautiful pictures on their website don’t match the condition of the actual hotel when you arrive. Or worse, the hotel is under renovation and you have to contend with daily doses of construction noise. Tripadvisor allows you to book a hotel in confidence and provides a true picture of what you’ll get. Seatguru allows you to find the best seat on almost any airline before you book. Have you ever been stuck on a 5 hour flight in what appears to be the worst seat possible on the plane? Maybe you were stuck in the back by a smelly toilet with a constant line of people standing next to your seat, or in front of an exit row where the seats don’t recline, or in that dreaded middle seat? 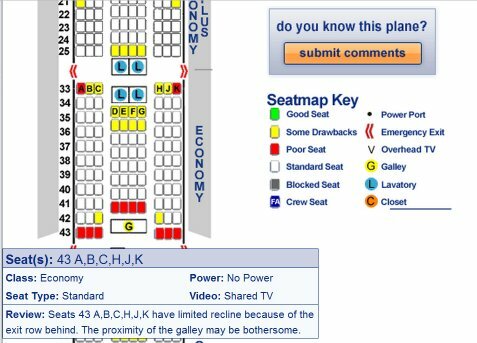 Seatguru provides hundred of seating maps for almost all airlines and provides pointers and recommendations from real travelers about which seats to avoid and which are ideal. Whether you’re a frequent traveler or booking that dream vacation to a far away destination, this is one of the best travel websites to get your trip off to a great start. Couchsurfing is a travel site for adventurous people to share their hospitality and travel experiences with each other. If you’re planning to travel and want to immerse yourself into a new culture, or simply want to save some money by forgoing the commercial hotel experience, couchsurfing will allow you to meet people who are willing to let you in to their homes and sleep on their couch. As the name implies, the couchsurfing members can arrange to share their homes with other travelers, and are usually willing to provide visitors with the local’s perspective or their home cities, possibly even acting as a tour guide. It’s not for everyone, but for the most adventurous and social travelers it can be a great way to meet people and make new friends. 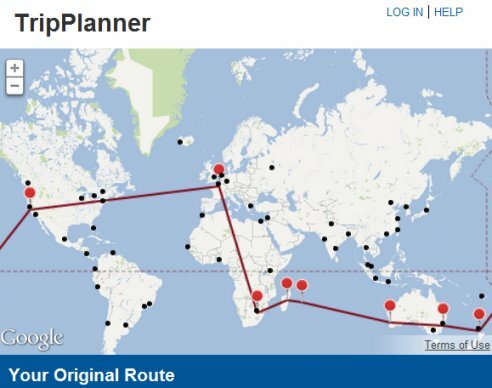 AirTreks is one of the best travel sites to use if you’re planning a multi-stop round the world trip. AirTreks allows you to book any airline, to any city, in any direction, without imposing any limits on how long you can stay. Their travel website provides interactive tools to help you plan your customized international flight itinerary by clicking locations on a map. They also provide recommendations on how to optimize the trip with additional destinations that wouldn’t add much to the cost. It’s one of the best websites available to book a multiple destination flight if you’re trying to create a uniquely customized trip. MyScenicDrive.com offers one of the most interactive travel websites to discover and plan the best road-trips in the United States. It provides hundreds of preplanned routes and suggests thousands of interesting stop along the way. Whether you’re planning a month-long adventure, or simply want to go a weekend day-trip, you’ll find lots of new places to discover and can customize a unique scenic drive to suit your taste. The website offers many convenient features such as planning fuel costs or locating accommodation along the way. They even allow you to import the itinerary directly into your GPS. 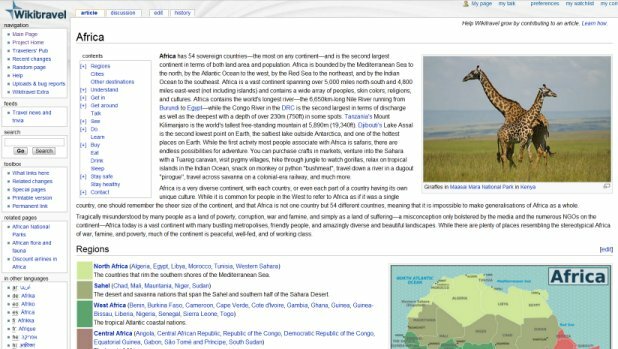 Wikitravel is one of the most extensive sources of information for travelers and was inspired by Wikipedia. If you’re planning a vacation and need to find information about a particular destination, whether you want to know about the history of a city, transportation, places of interest, currency, laws, political climate, Wikitravel is your in-depth source of information on the Web. Similar to Wikipedia, its content is provided by contributors from around the world who constantly update the website. Triporama is a free online website that makes it fun to plan a trip with friends and family. It provides a central place where everyone can share their ideas and plan logistics. Your travel party can share travel research, discuss ideas, assign tasks, conduct polls, and schedule trip dates. It also provides a Group Travel Guide that includes ideas for your trip, travel deals, and various planning advice for any type of trip you’re planning, such as a cruise, a road trip, a weekend getaway or any other type of travel. 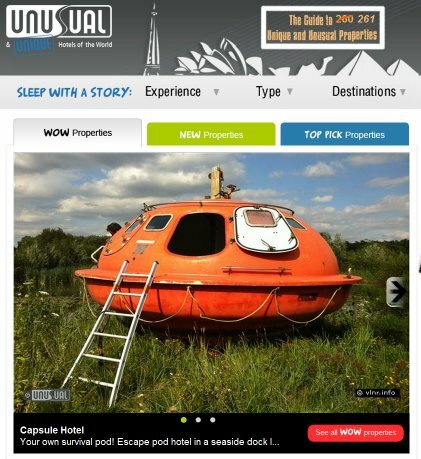 This website offers an extensive list of the most unusual and unique travel accommodations in the world. If you’re looking for a truly unique experience and want to get away from the cookie cutter hotels that we’re all used to, this is one of the best websites to help you to find that memorable gem of a hotel that you’ll remember for life. For example, how would you like to stay in an ice hotel in Sweden? or a 19th century European fort? Or how about a tree house in the tropical forests of Panama? 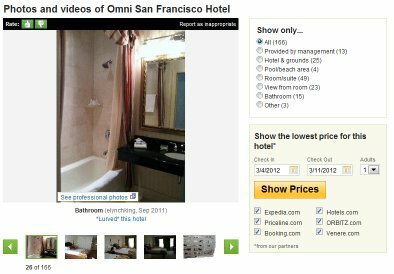 UnusualHotelsOfTheWorld.com is a great site if you want to plan a memorable vacation and do something off the beaten path. Finally, Google Maps helps you put everything together by providing ones of the best tools for interactive mapping. You can’t plan a trip these days without relying on a good mapping tool like the one offered by Google, and best of all, it’s free! Google maps can be used for a number of reasons, like figuring out driving distances or directions, looking for accommodations or restaurants on your trip, or finding public transportation routes. Some of the best features are satellite view and street view, which allow you to zoom in to a street level eye-view of your destination. This is great to get an idea of what a place looks like before you arrive, or to scope out a particular area to see if this is the type of place you want to stay in.